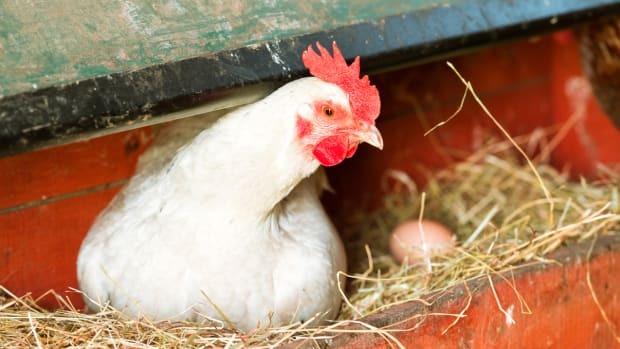 Goose Eggs Vs. Chicken Eggs: Is One Better Than the Other? Do you have a favorite item from your farmers market that you have to get there early to buy? At my town&apos;s farmers market regular patrons know that, because of their popularity, only the early birds get fresh eggs. So, when I arrived a couple hours later than usual one day last summer I learned that my only choice for eggs was only a dozen goose eggs. This got me wondering about the pros and cons of goose eggs vs. chicken eggs. The first thing you&apos;ll notice about goose eggs compared to chicken eggs is that goose eggs are about three times larger than chicken eggs. Hold a goose egg in your hand and you&apos;ll instantly feel that it&apos;s heavier (5 ounces) than a chicken egg. A goose eggshell is always white whereas chicken eggshells can be brown or white. Once it&apos;s cracked open, you&apos;ll see that the goose egg&apos;s yolk is firmer than a chicken egg yolk, and it&apos;s texture is similar to Crisco shortening. The goose egg has a higher yolk-to-white ratio than a chicken egg. It&apos;s probably no surprise that because the goose egg is larger than the chicken egg it has more calories. An average goose egg has 266 calories versus 72 calories in the chicken egg. But the goose egg also has more beneficial nutrients and vitamins. Specifically, a goose egg has more of vitamins A, D, and E than a chicken egg as well as more B vitamins (panothenic acid, B-12, riboflavin, thiamin, folate, and B-6). 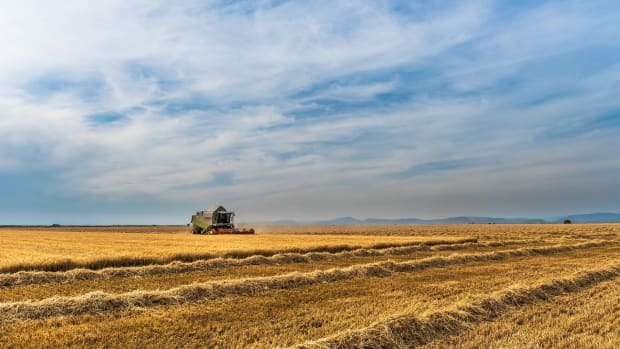 According to Livestrong.com, a goose egg provides nine percent of the U.S. Department of Agriculture&apos;s recommended daily allowance of calcium, 19 percent of vitamin A and 29 percent of iron. 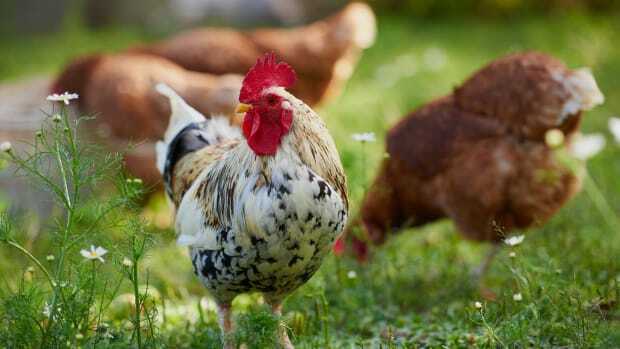 It offers 53.1 mg of selenium, which is about three and a half times the amount found in a chicken egg. 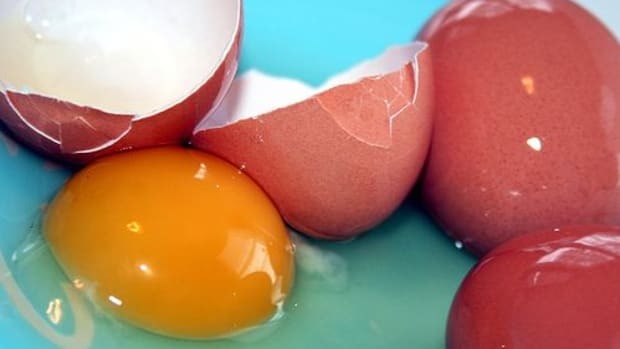 A goose egg is also a good source of the antioxidant lutein which can help with eye and skin health, according to the Lutein Information Bureau. A goose egg provides 379 mg of choline, a nutrient grouped with the B vitamins. The RDA for choline is 425 mg for most adult females and 550 mg for most adult males. Choline plays an important role in the development of cells and cellular communication. A lack of choline can affect liver disease, hardening of the arteries and neurological functioning. When you think of any type of egg you probably think of cholesterol. A goose egg has more cholesterol than a chicken egg (1,227 mg. versus 186 mg., respectively). Bear in mind that the average healthy person should aim to eat about 300 mg. of cholesterol per day. A goose egg is slightly higher in heart-healthy monounsaturated fats, but also higher in saturated fat than the chicken egg. 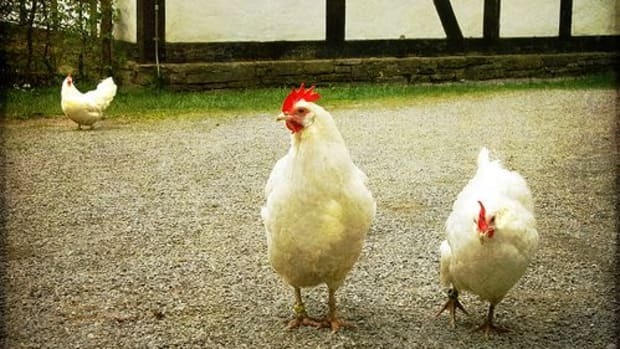 A goose egg has 19.97 g. of protein and a chicken egg has 6.23 grams. Both types of eggs are a complete source of protein, which means that they have all the amino acids that the human body requires. Personally, I didn&apos;t notice a huge difference in taste between a goose egg vs. chicken egg, but some folks report that they think the goose egg is drier. When cooking with goose eggs the only thing that makes them different from chicken eggs is their size. A goose egg can be used in baking, but if your pancake recipe calls for two eggs then you&apos;re going to have to try to use 2/3 of the egg, which may get tricky. I enjoyed my goose eggs scrambled and fried as part of a breakfast sandwich. Goose eggs will work well in these tasty egg-centric recipes. Also, consider hard-boiling them. 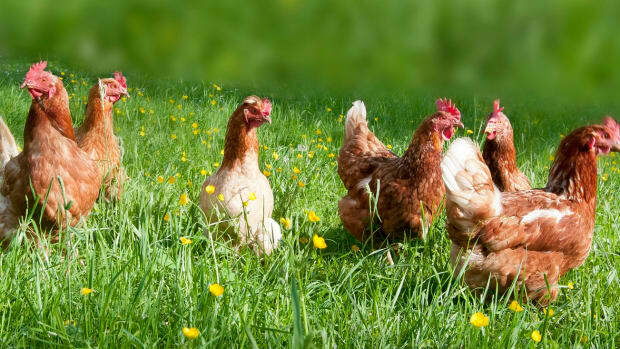 Free-range organic eggs of any type are more expensive than factory-farmed eggs. And goose eggs are significantly more expensive at about $3 per egg. In many parts of the country goose eggs are primarily available in the spring, whereas chicken eggs can be found at farmers markets in many seasons. Feeling adventurous? There&apos;s more to try! 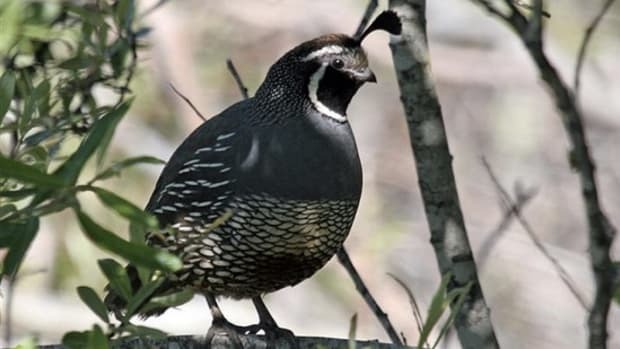 Expand your egg palate to include duck, quail, ostrich, turkey, and even emu eggs. 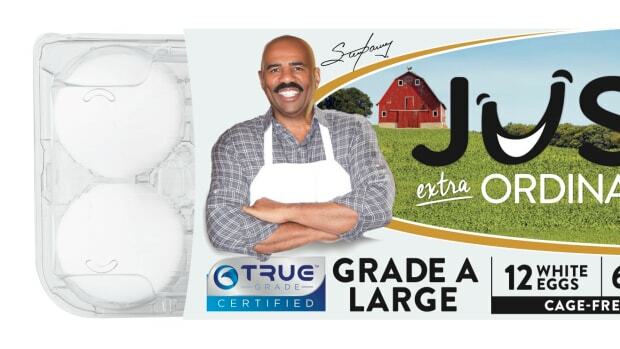 Did Steve Harvey Just Revolutionize Egg Carton Labels?